Can you drive after laser cataract surgery? 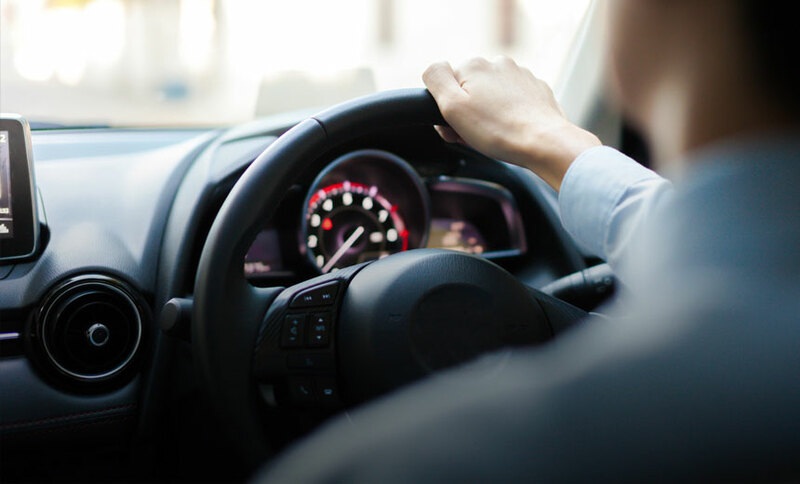 If you typically drive a car to get around, it’s only natural that you might be keen to know when you can safely start driving again after having laser cataract surgery. Most people who suffer from cataracts will need to have them removed from both eyes. The problem is that your surgeon will most likely perform cataract surgery or laser cataract surgery on one eye, wait for two to four weeks, then perform the procedure on the other eye. This means your vision will be very different in one eye compared to the other for some time. In particular, depth perception can be markedly different, which can be a bit challenging. Therefore, if you’re having laser cataract surgery the best advice is to wait until both eyes are operated on before attempting to drive. The good news is that the recovery period is quite short, usually just a day or two. Some people’s eyes can be slightly swollen for a short time after the procedure – if this is the case, you should wait for a full recovery before hitting the road. For safety’s sake, it’s wise to carefully consider if your vision has stabilised before driving again. If it hasn’t fully recovered, an error of judgement could lead to significant consequences. Driving immediately after surgery is definitely NOT recommended. The main reason for this is that you will have received a form of anesthesia and will be in no condition to drive yourself home. Always plan ahead and have a friend or relative to serve as a chauffeur on the day of laser cataract surgery. Also, don’t count on a taxi or hire service to take you home, because you will need someone to stay with you for a few hours during the adjustment period. Most cataract patients notice that within 24 hours following cataract surgery, any effects they may have experienced from the administration of anesthesia have disappeared. But if you feel sleepy, or are experiencing any sensitivity to light, it’s better to be cautious and wait a day or two, until your vision is fully recovered. Remember, one of the reasons you may have undergone laser cataract surgery was to be able to drive with clearer vision. If you are experiencing any side effects that might inhibit your ability to control your vehicle and drive safely in any and all types of weather and road conditions, be patient. Light sensitivity and depth perception problems are two common issues that may delay your return to driving, so pay attention to them and ensure they aren’t affecting your vision. Most of the time, these issues are temporary and recovery will be quite quick. Before you resume driving after laser cataract surgery, it’s a good idea to check to see if your current prescription glasses still provide you with optimal vision. In many cases, a patient’s vision is restored to such a degree that they no longer need to wear glasses, except perhaps for reading small print or in poor light. For some patients, a temporary solution (between operations) may be to remove the lens over the eye that was operated on, still enabling your other eye to view the world through a corrective lens. This is less than ideal, especially for driving. If you do need to occasionally wear glasses for specific activities after surgery, you should make sure your prescription is updated to suit your new, replacement lens. Cataracts tend to cloud vision in such a gradual manner that many people suffer them without even realising their vision has begun to worsen. Drivers will often first notice they have a problem when they are driving at night and are temporarily blinded by bright lights and often see halos, especially when it’s raining. After surgery, most drivers are able to see the road and their fellow motorists much more clearly, making them safer drivers. Colours will appear brighter, road signs will look sharper and vision will be enhanced in all kinds of weather conditions. Night driving will be especially improved and the stress of being blinded by headlights will become a thing of the past. Just remember to be patient and wait until your eyes are fully recovered before you hit the highway. After all, it’s surely worth waiting for a short time knowing you have a lifetime of improved vision to look forward to.